Hello friends, do you think or suspect your email account has been hacked or somebody else is using your account? Do you suspect that your Email account is under attack? Is email account secured enough that it cannot be hacked? Do you want to make your email account 100% hack proof? If Yes, then this article is for you. So friends read on.. Sometimes our email account has been hacked and we are not aware of that. Someone else i.e. some hacker is accessing your account and might be misusing it. But since we are not aware of that and we still think that our account and its privacy is safe but some third person is using it and accessing our private information and details. Now How you will detect that your account is under attack that How to find unauthorized activity in your email account. Here are few tips. 1. Your new emails are marked as Read even if you’ve not read them. 2. Your emails are moved to Trash or even permanently deleted without your notice. 3. Your emails are being forwarded to a third party email address (check your settings then go to forwarding). 4. Your secondary email address is changed. 5. Phone Information is changed. If you come across any of the above activities on your email account, then it is a clear indication that your email account is hacked. There are some additional security features that Gmail provide its users for the Security and safety o your account. 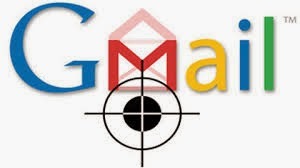 Gmail provides an additional security feature to protect your email account through the means of IP address logging. That is, Gmail records your IP address every time you login to your Gmail account. So, if a third party gets access to your account then even his/her IP is also recorded. To see a list of recorded IP address, scroll down to the bottom of your Gmail account and you’ll see something like this. You can see from the above figure that Gmail shows the IP address of last login (last account activity). You can click on Details to see the IP address of your last 5 activities. If you find that the IP listed in the logs doesn’t belong to you, then you can suspect unauthorized activity. 1. Verify you mobile phone, so that if your account is somehow got hacked then it will be easier to recover your email password. 2. If you suspect that your account is already hacked then these are the recommended things that you should perform. b. Change your security question. c. Remove any third party email address (if any) to which your account is set to forward emails. d. Make sure that you can access the email account of your secondary email address. e. Also change you secondary email password and security question. This will help you to stop all the illegal activity in your account. But there are several peoples who have asked me that their account is hacked or they forgot the password . Now if your account is already hacked means you are not been able to access your account then wait for my next post in which i will explain how to recover hacked email accounts or locked accounts.